Tim has brought me some of the most interesting challenges I have seen as a luthier. It is always a pleasure to work with him and always turns into an education. Timothy Burris specializes in music of the early and late German baroque. He is a graduate from the Royal Conservatory in The Hague with a soloists diploma in lute, where he studied under Toyohiko Satoh. He was the recipient of a fellowship to the Performance Practice Program at Duke University, where he earned a master's degree. In 1994 Mr. Burris received a Fulbright fellowship to Germany. 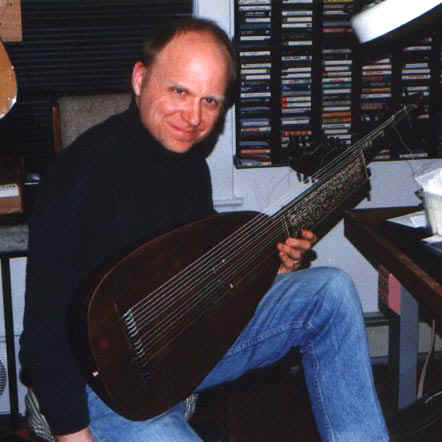 He was a lute instructor at the Royal Flemish Conservatory in Antwerp, Belgium from 1990-96. Tim has recorded & performed with such artists as Julianne Baird, Paul Elliott, Derek Ragin and Jennifer Lane, among others. He has performed under the baton of Peter Schreier and Renè Clemencic, as well as numerous radio & television performances throughout the United States, Holland, France, Italy and Germany. Done For Tim Burris, Click Here!